About 600 New Brunswick Liberals gathered in Fredericton Saturday to make some decisions about the future of the party, which currently holds the title of the official opposition. They spent much of Saturday afternoon voting on 31 recommendations put to them by a renewal commission created after last year's election loss. The voting method to choose the next leader was among the items considered. 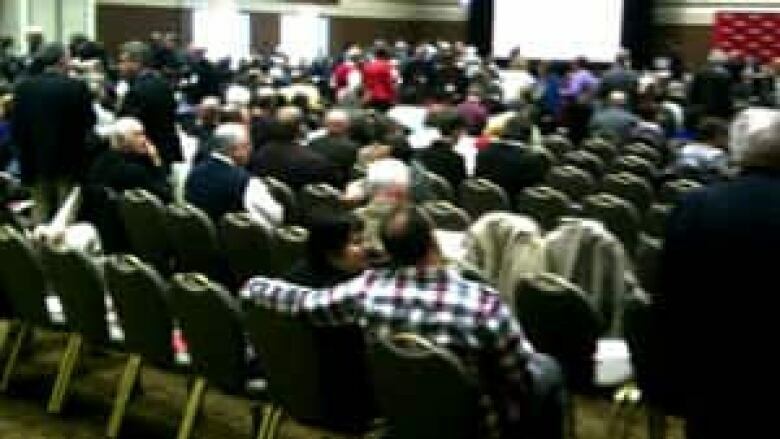 They also voted on a change to a form of one-member, one-vote rather than the traditional delegate selection system, where each riding chooses delegates to the leadership convention. That change passed overwhelmingly. In the system, each riding will have 100 points up for grabs. A candidate who wins 40 per cent of the vote in a given riding will get 40 points from that riding, for example. The points from all the ridings will be added up, and that will determine the totals for each candidate. Then, under the preferential ballot system, the candidate with the lowest point total will be eliminated. Members will also rank candidates in order of preference. If their first choice is dropped from the race, then their second choice is awarded the vote. That continues until one candidate has over 50 per cent of the points. The Liberals have spent the past year focusing on re-energizing the party after its defeat to the Tories in the 2010 provincial election. In last year's election, the party became the first since Confederation to lose power after a single term. Many of the resolutions are designed to give grassroots party members more oversight over policy development. Interim Liberal leader Victor Boudreau said the process is normal after an election defeat. "We're going through a renewal process, and we will be going through a leadership process as well as a policy convention," Boudreau said. "Those are all things that follow every general election. Premier Alward went through the same exercise in his party before the last election." Many party members said the previous Liberal government of Shawn Graham excluded them from decision-making. 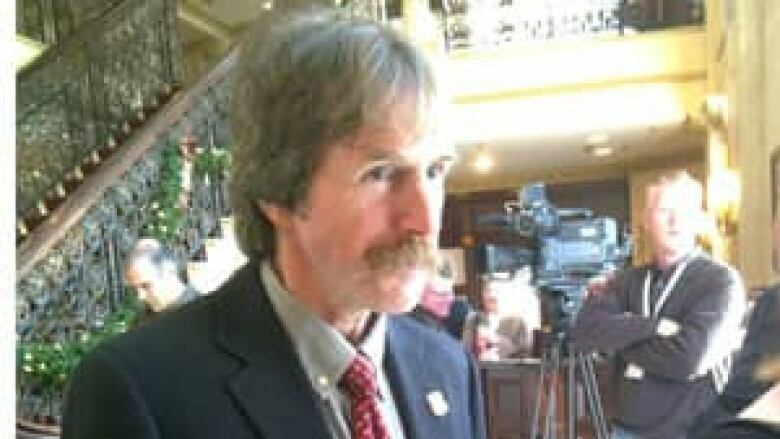 Early Saturday, Nick Duivenvoorden, the mayor of Belledune on New Brunswick's north shore, announced his candidacy for the provincial Liberal leadership at the party's meeting. "If I'm the only candidate from the north, that's great," Duivenvoorden told CBC News. "I don't want to necessarily be seen as the candidate from the north, I'd like to think I'm the candidate from the whole province."